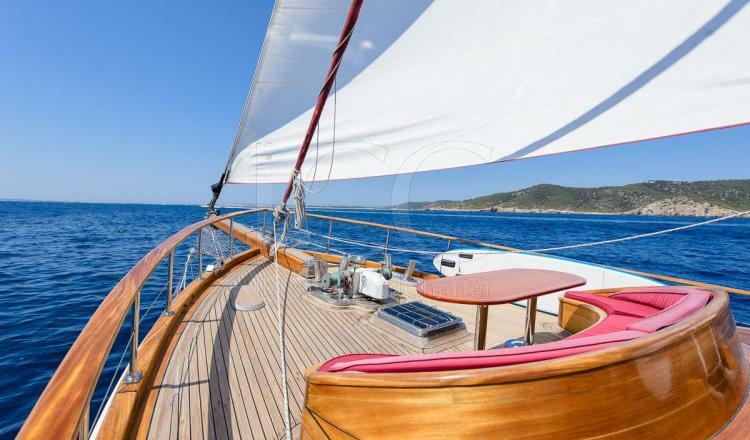 Designed by experimented engineers, built carefully by the best, it has all the details you can imagine in a 24 meters lenght sail boat. 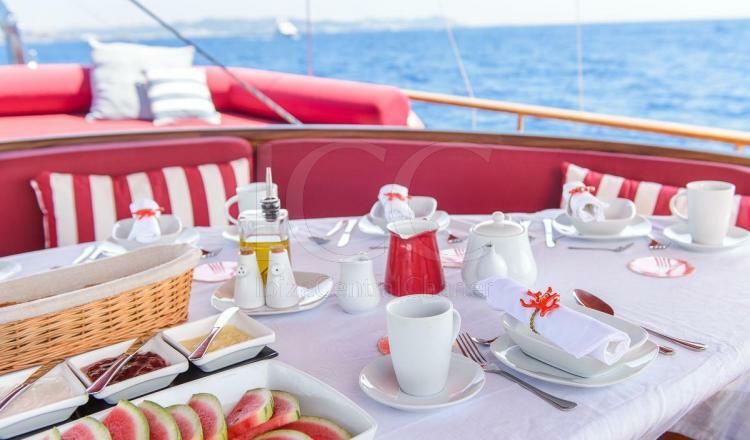 Innovation, luxury and excellence are the characteristics that best define of Why Not Series. 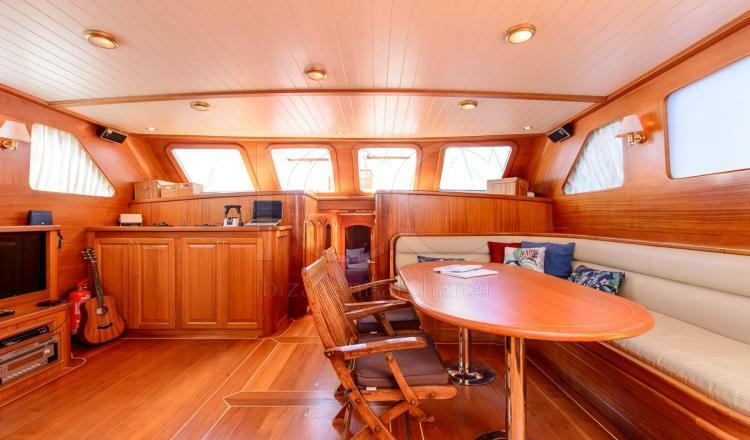 The large clear deck area has enough space for 8 passengers, as well as a bench at the bow and dining area at the stern. 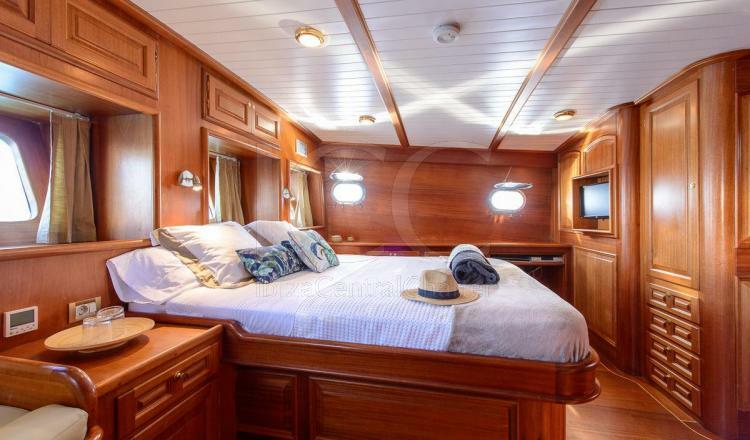 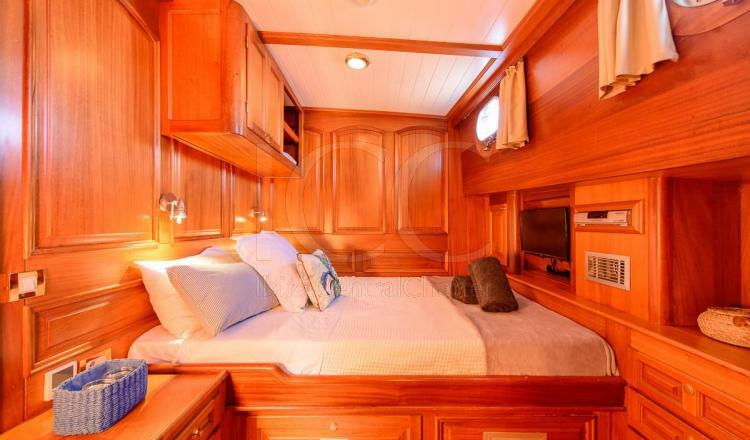 Its interior has been built with top quality mahogany wood. 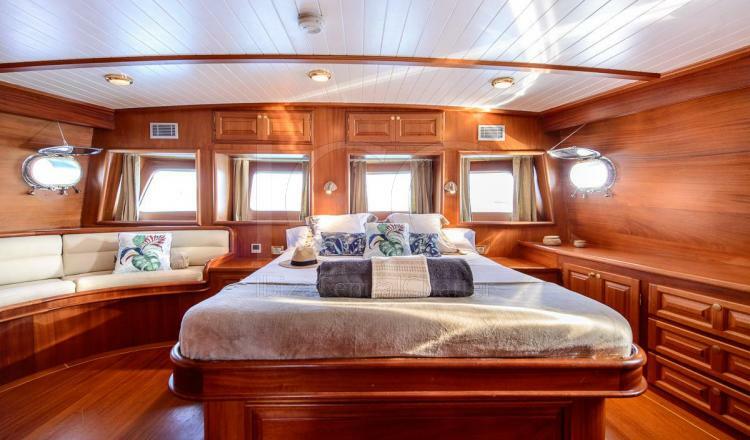 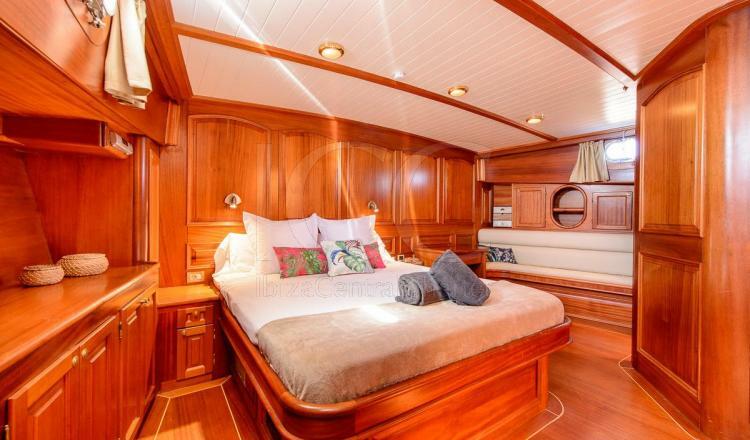 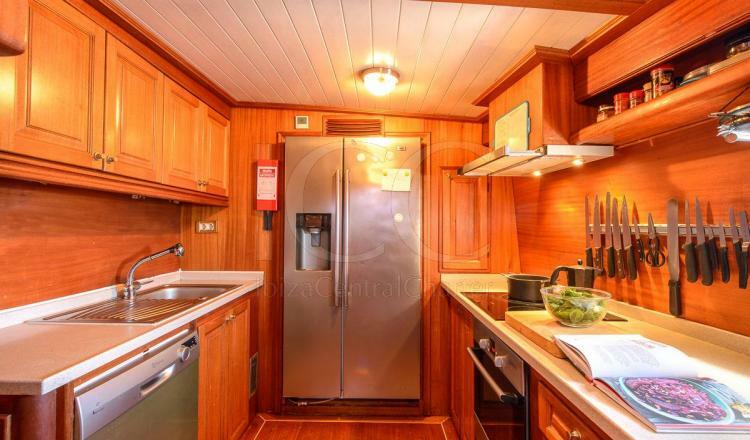 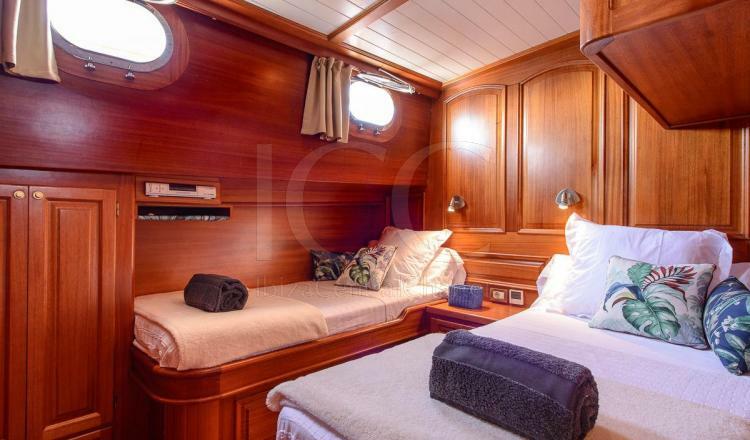 Moldings and furniture specially designed for each corner of the boat. 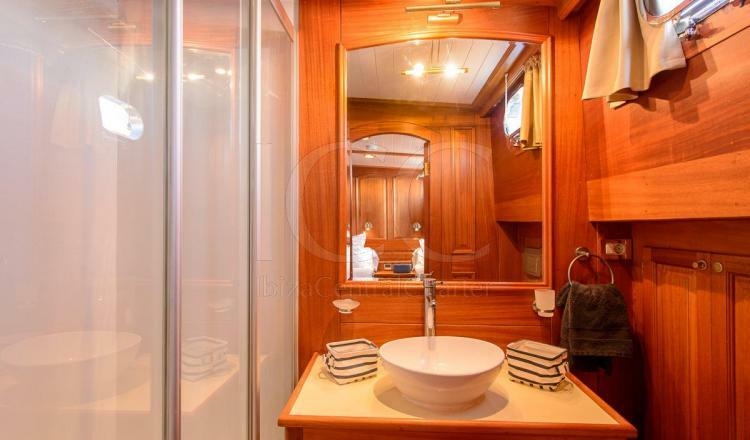 Four double cabins equipped with HIFI equipment, TV and private bathrooms with hydromassage shower, allow the most comfortable accommodation for the passengers. 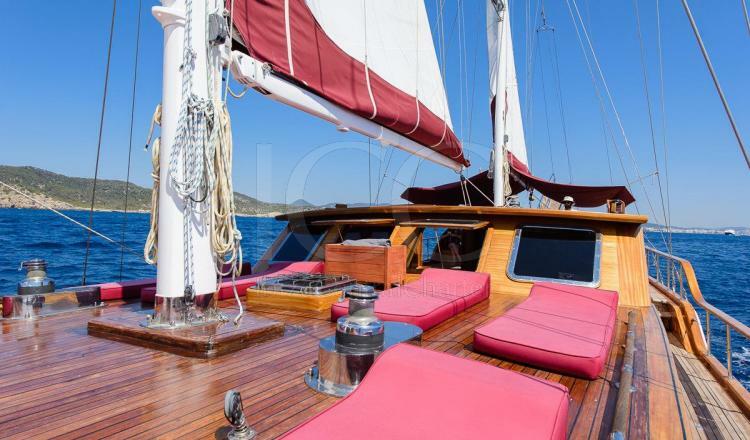 These ships have two or more masts, which give them a majestic character. 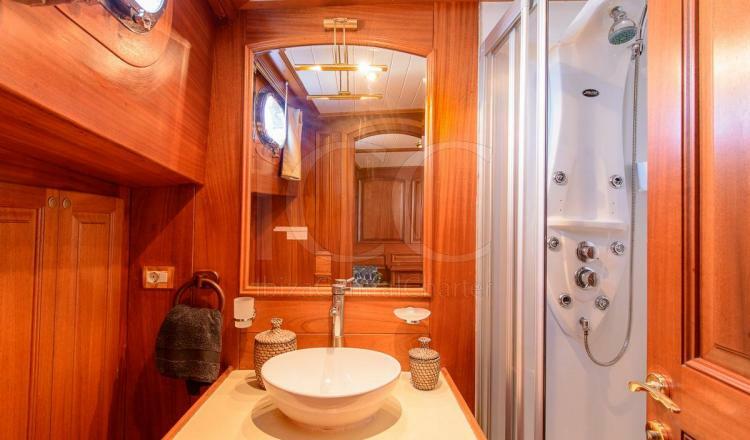 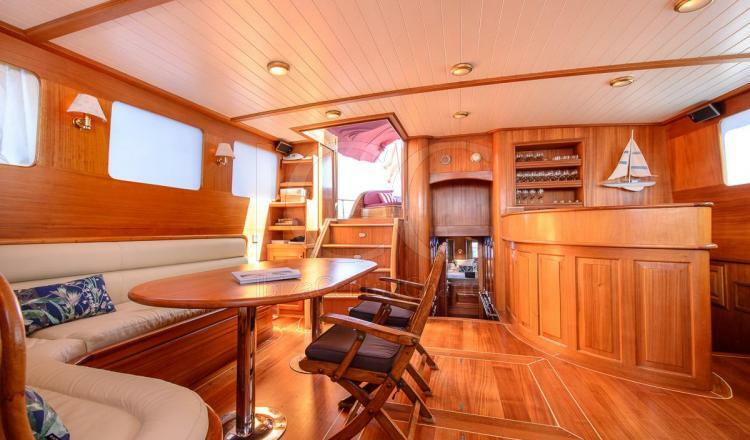 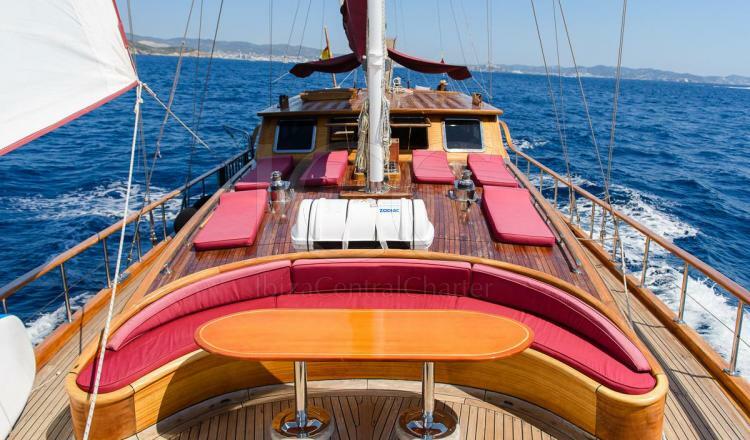 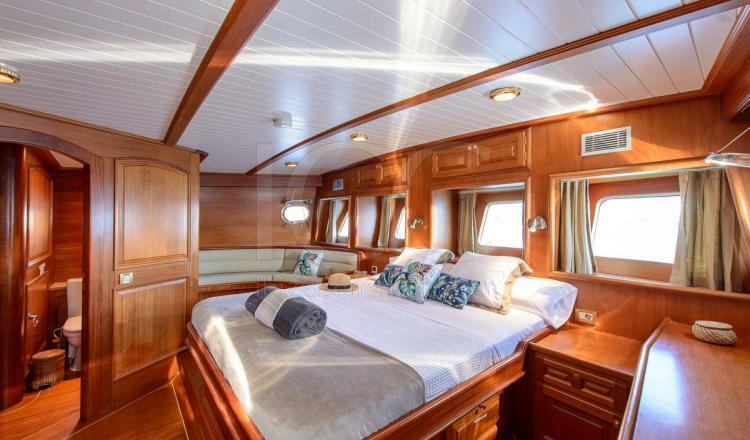 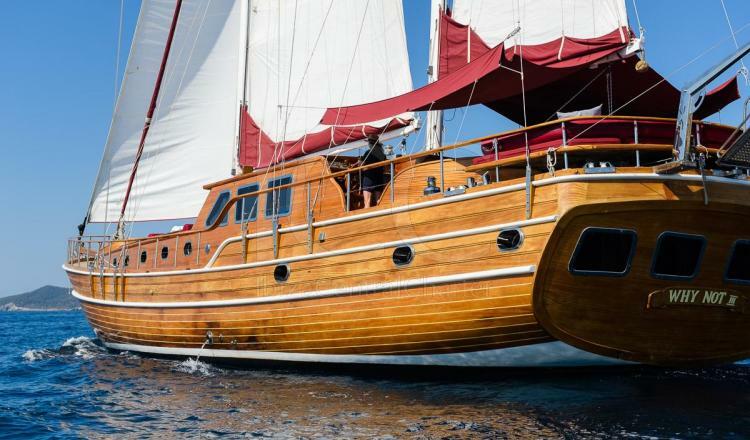 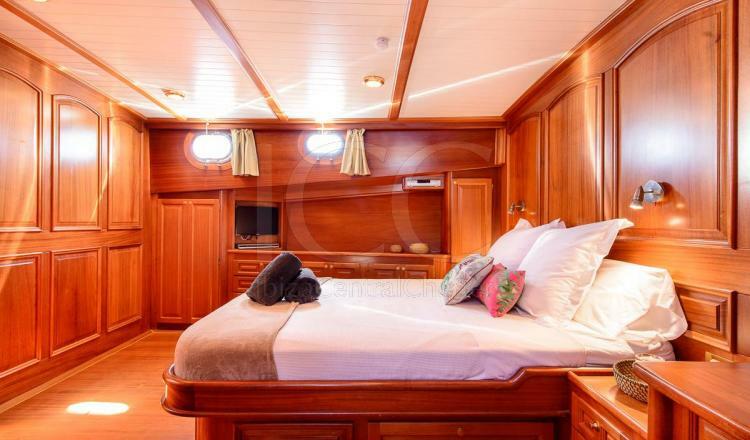 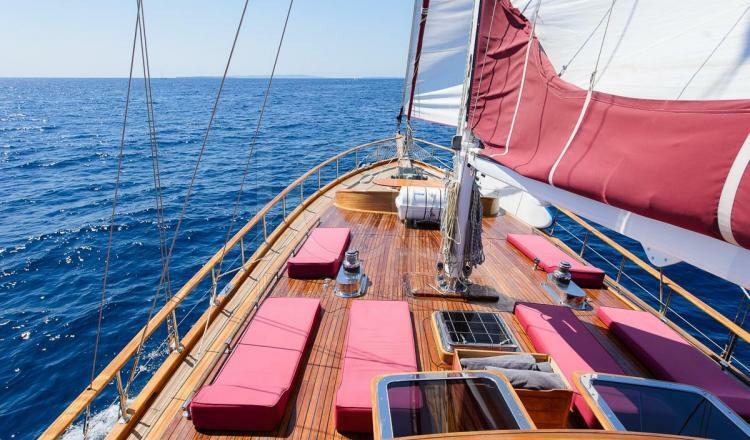 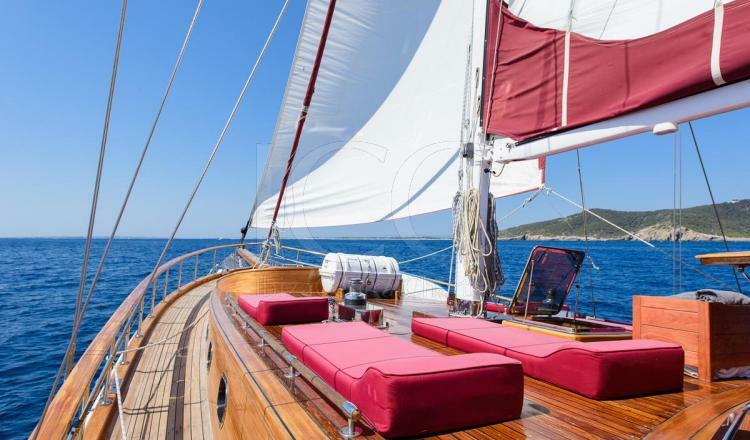 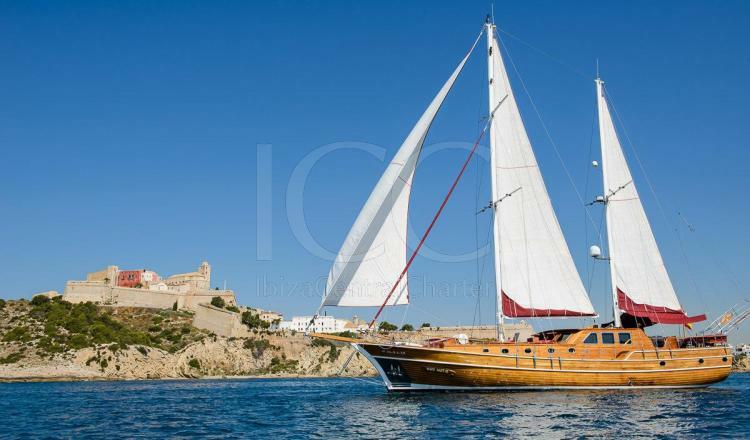 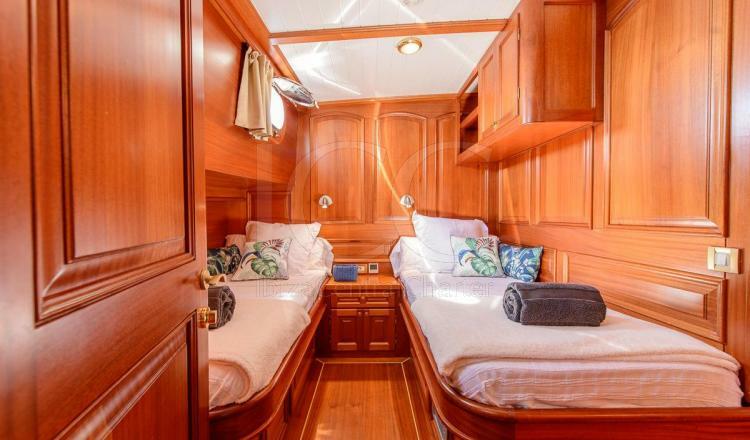 A luxury for those who are looking for a Mediterranean holidays on boar a classic boat. 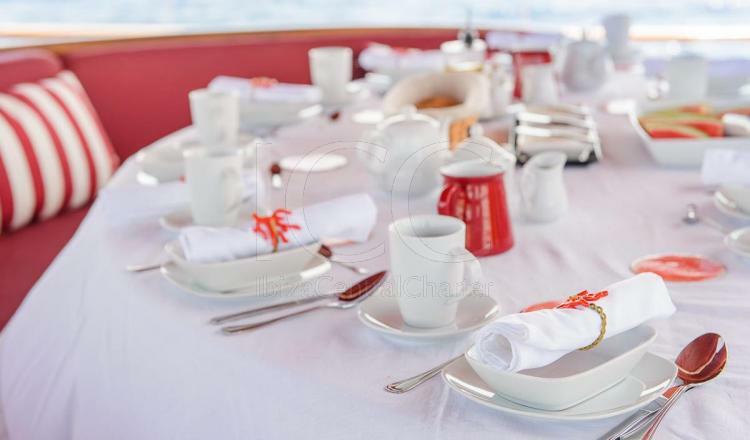 - Crew: skipper, cooker, sailor and stewardess. 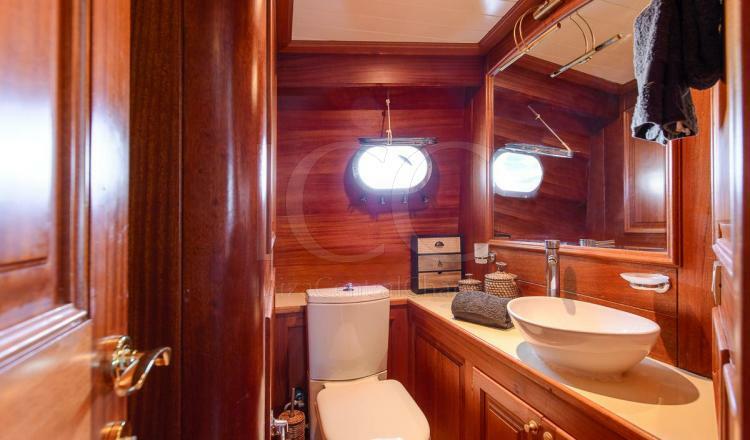 - Sheets, towels and cleaning service. 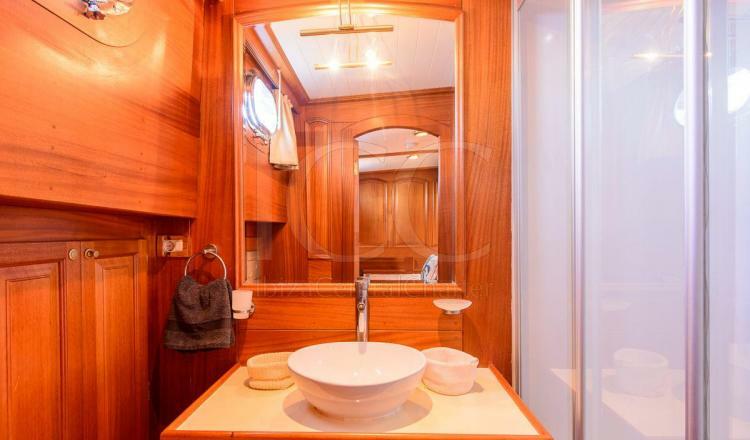 - Watersport: tender 4.5m with engine 50H.P (yamaha), wake board,water skiing, donut, paddle surf and snorkel. 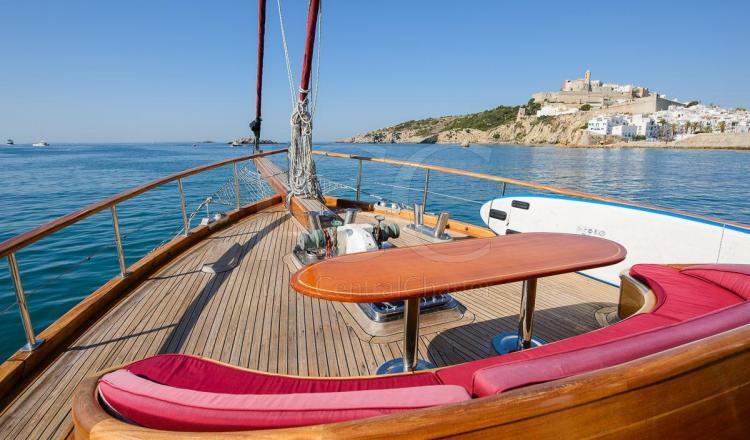 - Mooring outside Base Port. 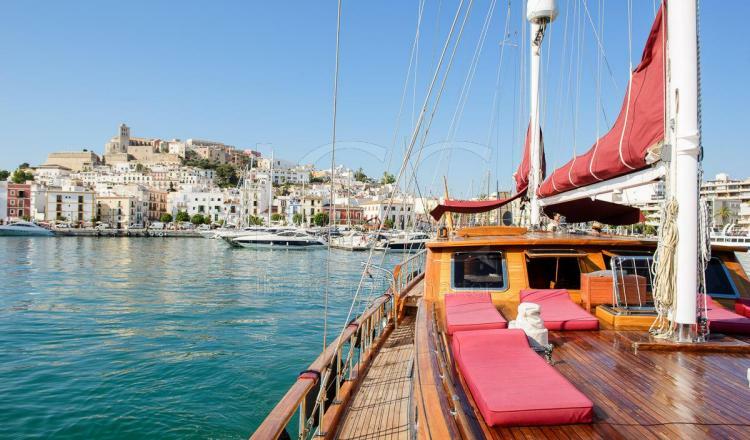 50% to make the booking by bank transfer, 50% one month before boarding.